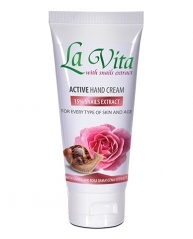 Hand cream, which hydrates, softens and restores the hand skin, thanks to the unique natural complex of 100% snail extract and natural almond oil. The natural ingredients penetrate in depth and protect the skin from the harmful influence of the environment. Stimulates and regenerates the cells. 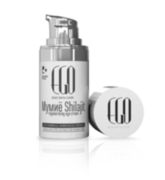 Hydrates and nourishes the skin. Normalizes the skin pigmentation. Regenerates chapped hand skin. The snail extract is well known antioxidant with strong anti-aging and Hydro-Energising effect thanks to its content of natural vitamins, proteins and valuable trace minerals. 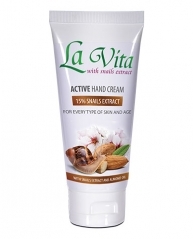 The almond oil protects the hands from dehydration and restores its shine and elasticity.